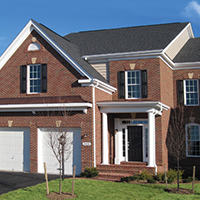 March 21–Ashburn, Virginia — This Oakwood Model, with nearly 5000 sq. feet of beautifully finished interior space is one of our feature-rich new homes in Ashburn, Virginia at Moreland Estates. And it’s ready, today, in a picture perfect setting with no thru streets, off Belmont Ridge Rd. The luxury single-family home community is bordered by Edgar Tillet Park and backs to Beaverdam Reservoir. Yet it’s just minutes from three major shopping and dining centers: Broadlands Center Plaza; Brambleton Town Center and Ashburn Farm Town Center. Inside, this home was designed and built to impress. It features four large bedrooms and 4-1/2 baths. Custom upgrades include a fully-finished lower level – with rec room, den, cafe/game area and full bath. There’s hardwood flooring in the living and dining room, library, kitchen and breakfast room, reception and foyer and upper level hallway. And the chef kitchen with upgraded cabinetry, granite countertops and stainless steel appliance, has it all. 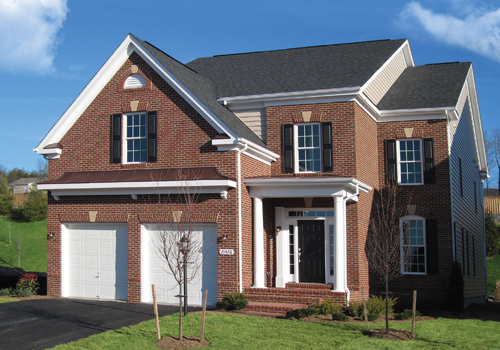 This customized Oakwood home with everything included is value-priced at $658,381, For more details call 703-858-7776.